I was recently in Aptos and picked up a brew before the wine drinking began. 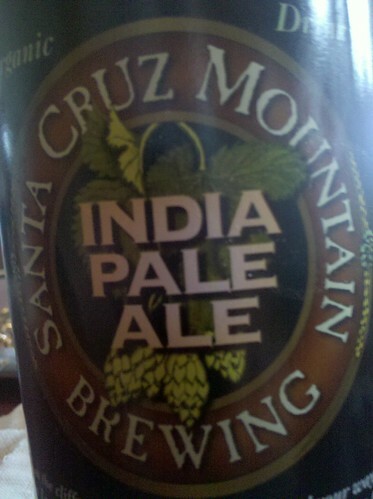 This local Santa Cruz Mountain Brewery IPA was a little underwhelming. When compared to some of the others I've been drinking, this was frankly a little less memorable. Somehow the Organic thing doesn't really mean much when the product doesn't knock your socks off. Besides, is there really certification for organic water?